Round 1: Thursday at 7:45pm ET. Rds 2-3: Friday at 6:15pm ET. Rds 4-6: Saturday at noon ET. 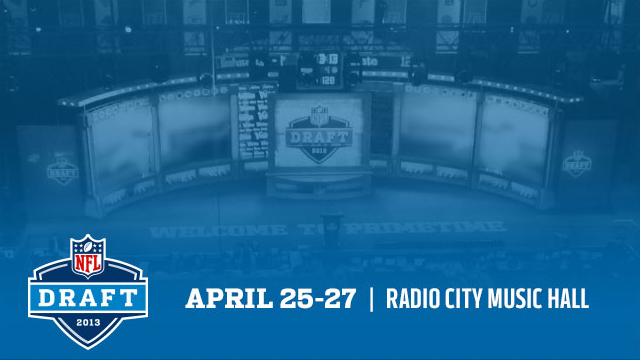 NFL.com/LIVE is your online source for complementary NFL Draft coverage featuring user-generated discussion alongside NFL expert predictions and reactions.